Once purchased you can download the track from the confirmation page and will also receive a download link by e-mail. Please note that if you have an iPad or iPhone you will need to download the track to your Mac or PC first before synching it to your device. 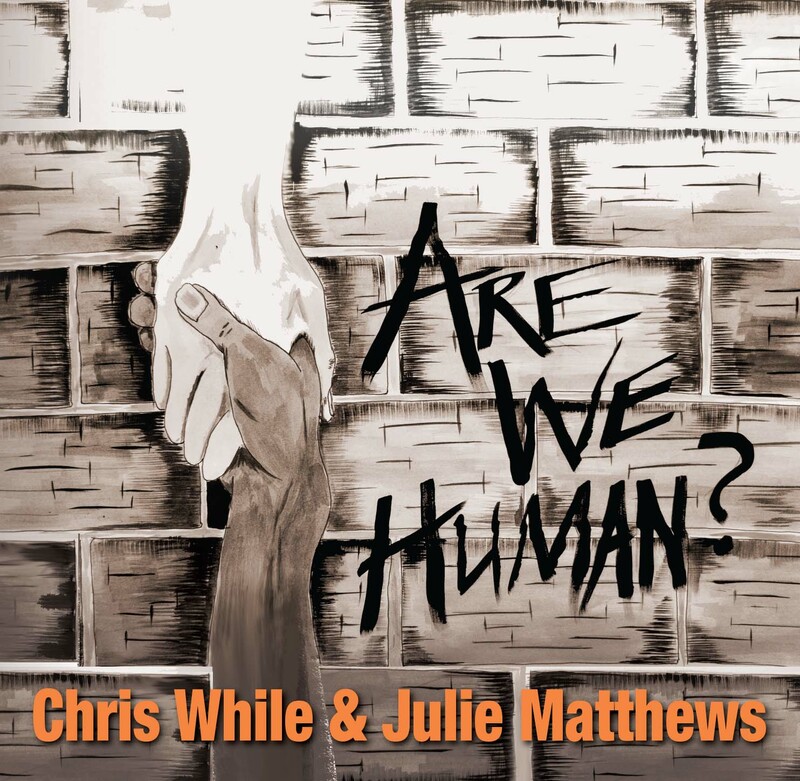 November 2015 and Chris While and Julie Matthews release a song which gives a hard hitting and compassionate view on the current refugee crisis taking place across Western Europe. All the proceeds from this track are going to the charity MOAS (Migrant Offshore Aid Station, www.moas.eu) a registered Foundation dedicated to preventing loss of life at sea by providing professional search and rescue assistance to people who find themselves in distress on high sea or trapped on unsafe vessels. Are We Human? is a catchy and emotive acoustic rocker which captures the feelings of urgency, sympathy and solidarity needed to address the current desparate situation which thousands of people are finding themselves in. 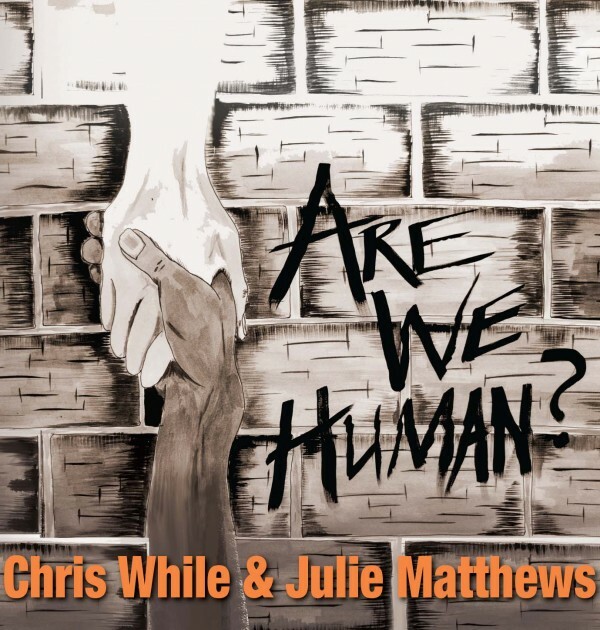 Chris and Julie are joined on this track by acclaimed songstress Christine Collister, Ken Nicol (Steeleye Span, Albion Band, Al Stewart) on guitars, Australian Liz Frencham on double bass and Neil Marshall (Albion Band) on drums. 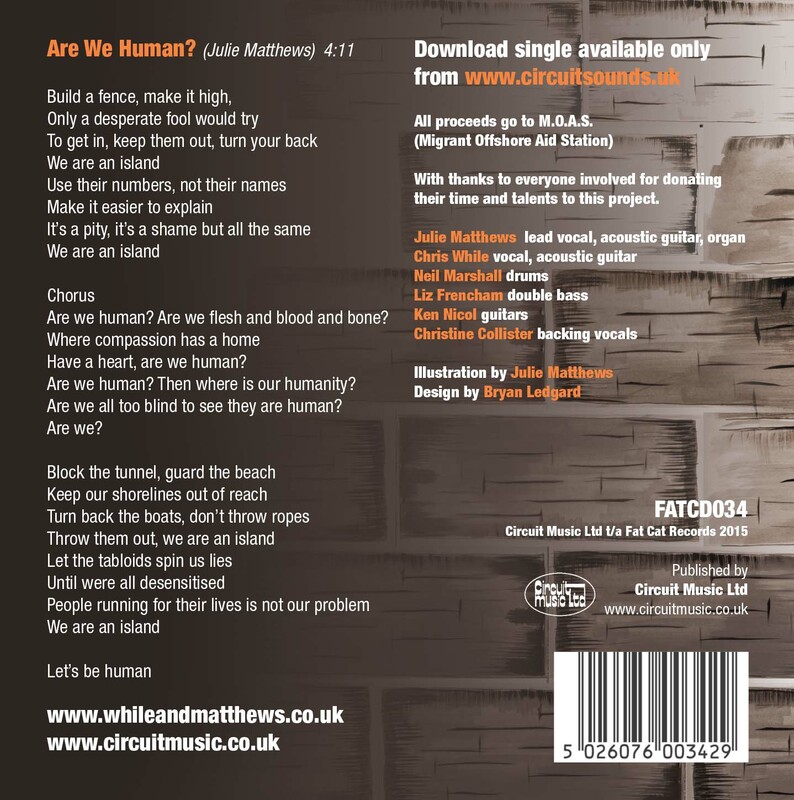 Download Are We Human? exclusively at www.circuitsounds.uk and donate to MOAS(Migrant Offshore Aid Station). Winners of Best Duo at the 2009 BBC Radio 2 Folk Awards and ten times nominees since 2001 in the Best Duo, Best Original Song and Best Live Act categories. 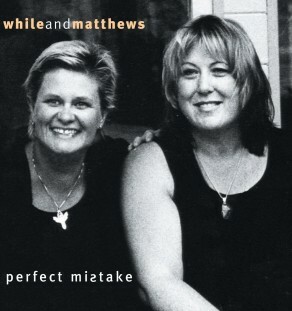 Chris While and Julie Matthews’ musical partnership began in 1994 when they were key members of influential folk super-group The Albion Band. In 1997 they left the band to concentrate on their work as a duo which has seen them tour throughout the world and gain an ever growing devoted fan-base. Their songs have been covered by a range of artists including Mary Black, Barbara Dickson, Christine Collister and Fairport Convention. 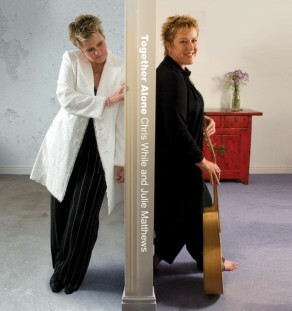 Both are multi-instrumentalists – Julie plays guitar, piano, ukulele, bouzouki, mandolin, harmonica and accordion and Chris plays guitar, bodhran, banjo, dulcimer and percussion – but it is the union of their two voices and skill as close harmony singers that continues to define their sound. Their musical careers have produced successful solo albums and a variety of projects away from the duo including St Agnes Fountain with David Hughes and Fairport Convention’s Chris Leslie. Now in its fifteenth year and with several albums to its name. The St Agnes Fountain Christmas tour continues to sell out every tour. Described by fRoots as “awesomely talented”, Julie was a key songwriter for the Sony Award winning Radio Ballads, made for BBC Radio 2 in 2006 and 2012 and is currently a writer for the new series, The Ballads Of The Great War, which tells the story of WWI through the words of the people who were there with songs based on their experiences. Of Chris, the Guardian wrote “she rises like an angel from the ashes with a voice to match”, and one fan, Eddi Reader, describes her simply as “the best singer in England”. Last year, she was invited by Beth Nielsen Chapman to be a part of an all-star singer-songwriter concert at her house in Nashville alongside Gretchen Peters, Kim Carnes, Kim Richey and many more. The concert was filmed for a BBC Four documentary presented by Bob Harris and broadcast as part of the BBC’s Nashville season in November 2014. Nine studio and two live albums later, their partnership flourishes….